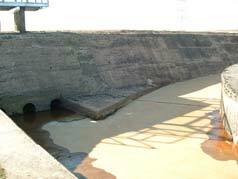 The existing spillway was in poor condition and needed replacement. Mid Glam Construction were tasked with breaking out the existing 1940’s reinforced concrete structure and replacing it with an up to date facility. 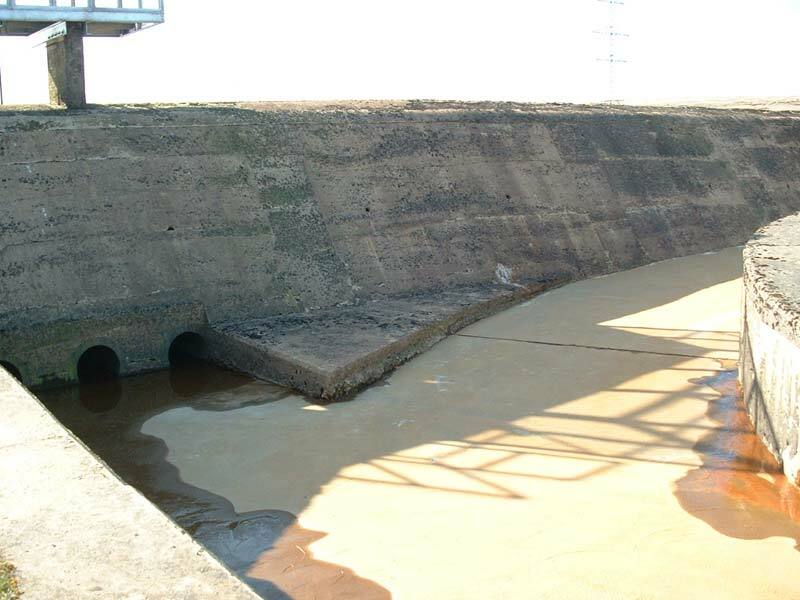 The works had to be constructed whilst keeping the existing spillway "live" so that Dŵr Cymru / Welsh Water could carry on normal reservoir activities and maintain water supplies. Pollution of the live water course was therefore a risk which influenced the materials used on the scheme. Access to the site was also restricted as it involved the negotiation of a 2 mile unmade access track and a weak bridge with an approximate weight limit of 5T. This meant that plant for the scheme had to be carefully selected and agreed with the client to avoid damaging the existing access. Deliveries also had to be scheduled to minimise disruption to adjacent landowners. The method statement for this scheme had to be submitted to Environment Agency Wales for approval prior to works commencing on site.